AC/DC’s 1980 classic, “Hells Bells”, is featured in the trailer for the upcoming World War II horror movie, "Overlord." Set to arrive in theaters on November 9, the film sees a group of American paratroopers dropped behind enemy lines during the summer 1944 Battle Of Normandy – codenamed Operation Overlord – as part of the Allied invasion of German-occupied Western Europe. As the soldiers approach their target on the eve of D-Day, they begin to realize there is more going on in this Nazi-occupied village than a simple military operation. Produced by J.J. Abrams and Lindsey Weber and directed by Julius Avery ("Son Of A Gun"), “Overlord” stars Jovan Adepo, Jacob Anderson and Wyatt Russell, among others. Launched with the lead single, “You Shook Me All Night Long”, the project reached No. 4 on the US Billboard 200 on its way to sales of more than 22 million copies Stateside. 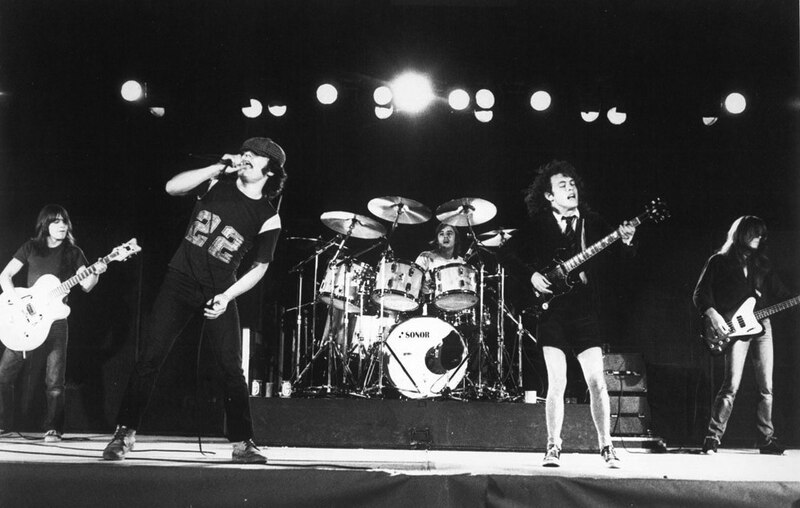 Following the completion of a world tour in support of 2014’s “Rock Or Bust”, AC/DC’s future is unknown as guitarist Angus Young is the sole remaining original member of the band.